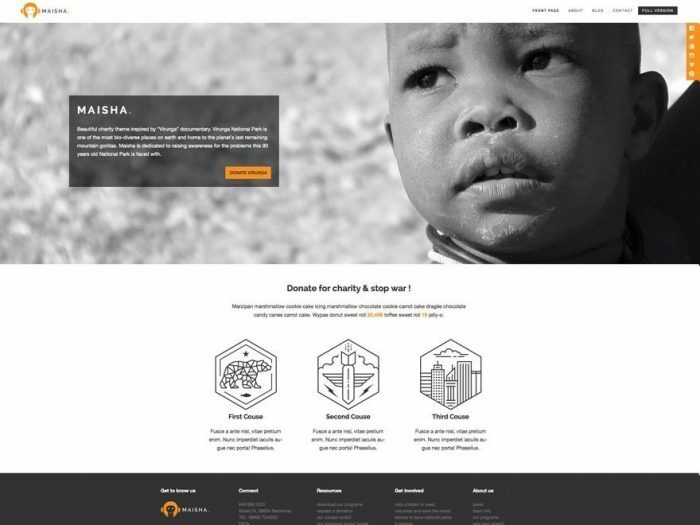 You are a charity/nonprofit/NGO organization, wants to build a Charity site and looking for a Charity WordPress theme for your website, and there are many choices for you. However, it is great if you don’t have to pay but still own a theme with all the awesome features and options. Therefore, in order to continue the topic about Charity WordPress Themes, I would like to give a hand picked list of the Best Free WordPress themes for Non-profit, Charity and fundraising organizations on WordPress.org in this article. Let’s get started. Charity Review is a multipurpose template which is built to best fit for Non-Profits (NGOs), blogs along with Corporate themes as well. It is fully responsive and highly customizable with the ability to customize markers, street view, add a custom field – everything is possible. With Charity Review, you can choose any color that you want from options of different color skins. Besides this, this Free charity WordPress theme also supports WPML and can be compatible with other translation plugins as well. Especially, not only does it support blogs and corporate theme it also comes with WooCommerce support. It means now you can sell your products online using the amazing power of WordPress and WooCommerce from this free theme. Non Profit is a fresh and airy theme that will introduce your content in a clear and well-organized manner. This theme will be perfect for those, who want their ideas to be presented in the spotlight because it is not too fancy and overcrowded with visual elements. Developed in accordance with the latest theme design trends, Non-Profit will be a professional solution for a whole range of various websites – from personal blogs to research centers, educational facilities, funds, science news, travel guides and much more. Moreover, you can give way to your creativity and change the look of your website in a few clicks, as this feature-rich theme comes packed with really simple and handy customization options. 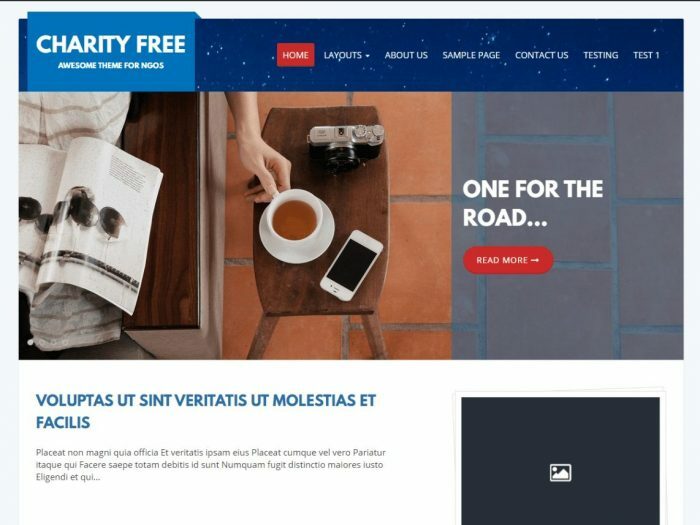 Charitas Lite is a simple and clean but still professional theme, built for a charity organization, non-profit associations, foundations or churches. It supports many smart features. Charista is integrated with PayPal – the perfect tool for money Fundraising, moreover it is also fully responsive and multilingual ready theme. 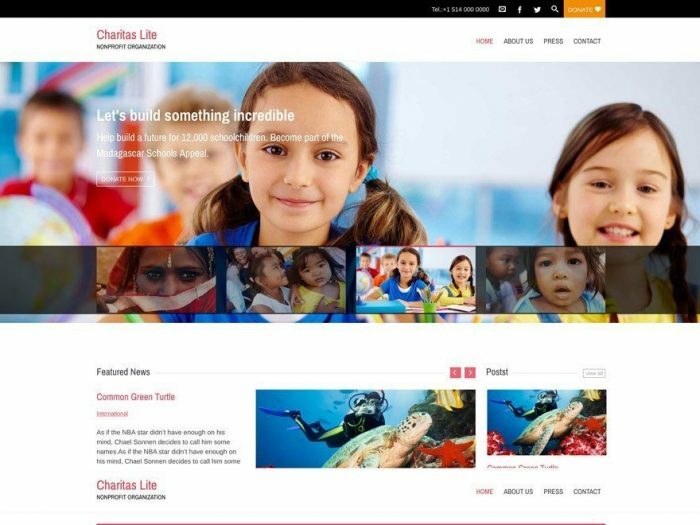 Although being a free charity WordPress theme but Charitas Lite offers the best, quick and professional support, with high satisfaction rate. 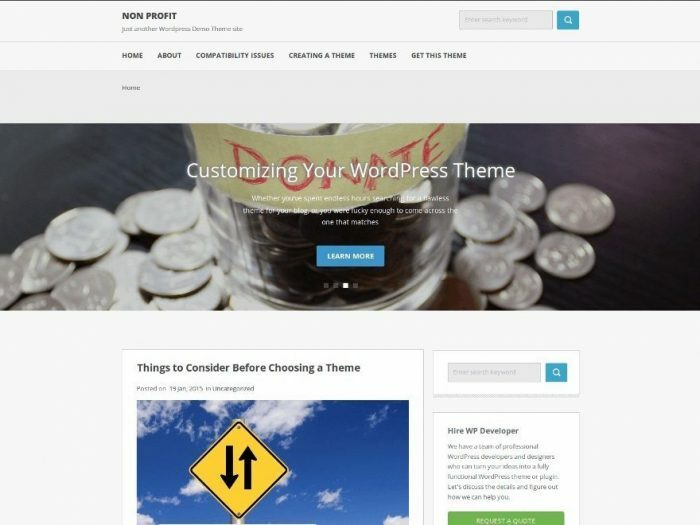 In wordpress.org, there are many free themes which introduced for Charity/Nonprofit/NGO organizations but I think 5 themes above are best choices. Of course, this WordPress theme list will be updated, and if you want to find paid themes with upgraded features, let’s refer to our premium Charity WordPress Themes.